Juggernaut Shuttle operates on periodic days/times with a minimum number of 8 riders. 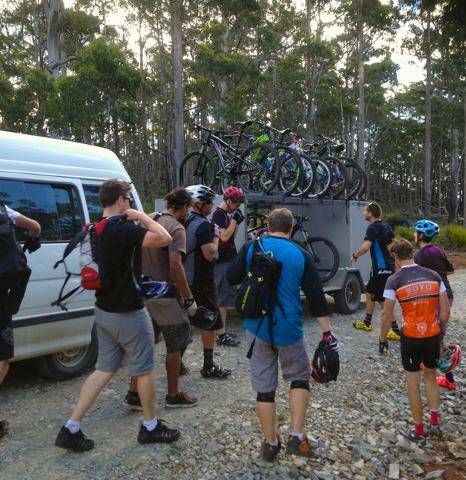 If you are wanting to book with a group less than this, please send us the date and number of riders. We may be able to advertise and get the required minimum. VertigoMTB notifies customers of the schedule on it's Facebook page. 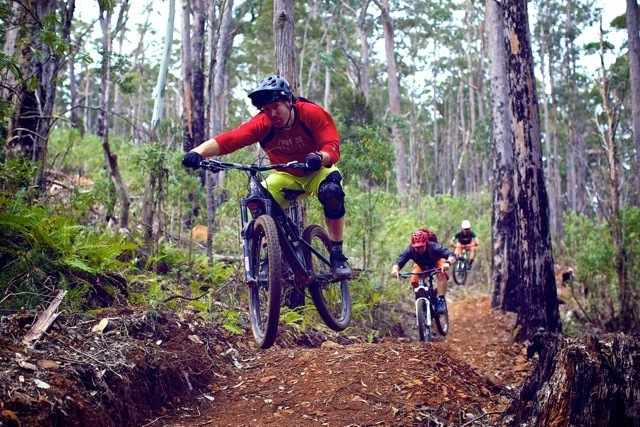 The first shuttle commences at the main Hollybank trail hub near the dirt jumps, subsequent shuttles run from the shuttle turnaround at the bottom of the Juggernaut descent. 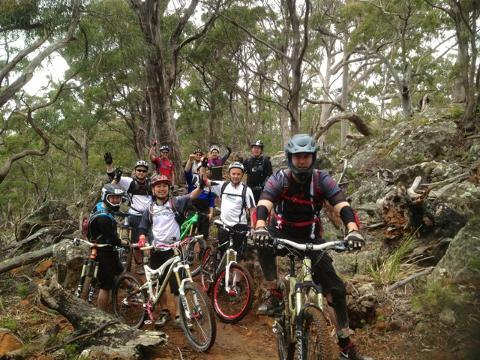 Hire includes helmet, gloves, trail tool, tubes and pump.